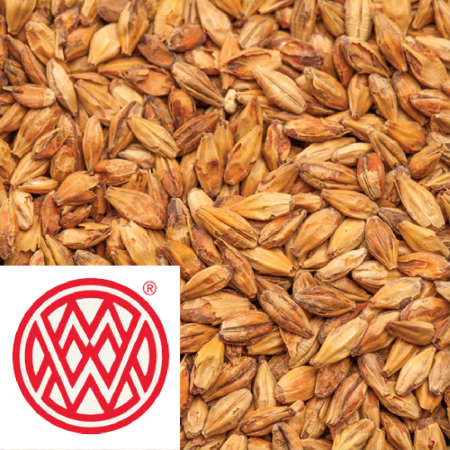 Weyermann Melanoidin malt adds a deep amber to red-brown color to finished beer. The rich malt flavor has notes of honey and biscuit. Melanoidin malt is best used in dark or red-colored beers such as amber ales, scottish ales, Irish red ales, bocks, and Kellerbier. Weyermann Melanoidin is a kilned specialty malt with an intense malt aroma and unique brewing characteristics. It has a high degree of modification of both proteins and starches, excellent friability, low β-glucan values, and high acidity. These attributes help promote flavor stability, add body, and produce a smooth mouthfeel.